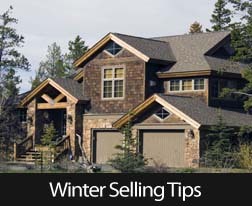 Any real estate agent will tell you that it’s harder to sell your home in the winter. 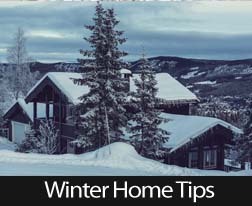 The days are colder and shorter, leaving less time to show your home to potential buyers. The good news is that most of the buyers who are looking at houses in the winter aren’t just killing time. They’re serious enough about finding their new home to go house hunting at a time that most people would rather stay inside. Make sure all walkways are safe. Spread out ice melt or sand to provide traction during snowy weather. Shoveling the snow on the driveway and sidewalks will make your real estate appear more inviting and well-maintained. Be sure to place a mat for visitors to wipe their feet on. Warm up the house. Buyers will remember the house that was pleasantly warm on a frigid day. In addition, you will be able to demonstrate to the buyer that your furnace is in good working order. For a welcoming scent, bake cookies the day of the showing. Some people are sensitive to the fragrances in air fresheners and perfumes, so skip spraying those when expecting someone to look at your house. Serve snacks in the kitchen. Give the buyer a reason to linger in your home by leaving a light snack in the kitchen. If the weather is cold, consider providing chili or soup in a crockpot to keep it warm with festive disposable bowls. Or, to keep it simple, you can provide coffee or hot chocolate and cookies. Be sure to talk with your real estate agent before leaving these snacks so he or she knows they’re for the buyers. Make your house appear warm and inviting. Turn all the lights in the house on; place warm-toned throws and decorator pillows around the living room. Put on some soothing classical or jazz music; keep the volume low enough that buyers can talk quietly to each other. You can make your home seem more inviting this winter by using these proven techniques. It’s getting cold in Bergen County New Jersey, and that means you’re at risk for blizzards or ice storms. Depending on where you live in NJ, these winter storms can knock out the power for weeks. With these easy tips, you can be prepared for and even enjoy these storms. Losing power in Bergen County NJ means losing heat, and that can be a pain. But trust me, you can live comfortably for a long time with no heat. The first step is to dress warm. Lots of light layers keep you warmer than one big coat, so layer up. Wear a hat or a hood as well. Your body loses most of its heat through your head. It’s also important to insulate your house. Put extra weather stripping or towels under the door and windows. You don’t want any drafts getting in. Pipes might freeze during a winter storm in NJ as well. It’s important to keep the water running. The water in the pipes will freeze much faster if it isn’t moving. So go to each faucet and tap and turn them on just a little bit, so that they’re barely dripping. That way the water won’t sit still in the pipes and freeze. Your regular sources of information may be obsolete without electricity. Your computer and cell phone will die quickly, and your television will be dead as well. Keep a battery-powered radio on hand. It seems old-fashioned, but it’s much more comforting when you know when the power is expected to come back on. Remember that most news like this is on the AM stations. Remember you’re not the only one without power. Put on your snow boots and go see how your neighbors are fairing in the winter storm. Even if they’re the kind of neighbors with an obnoxious barking dog, it’s worth checking in on them. You might bring an extra blanket or two as well. When it comes to winter storms, it’s better to be over prepared, than not prepared enough. Keep some extra water and canned foods stored in the house. Keep extra flashlights, candles, matches, a camping stove, and maybe some extra gasoline for the car, or generator. Like a boy scout always be prepared. Most storms won’t be a matter of life and death, but your preparedness will make the storm much more comfortable. Winter storms can be a pain in the neck, but a little preparation goes a long way. When the power goes out, it’s nice to know that you have everything you need to get by. Just remember to stock up on supplies, keep your water running, stay up to date, and check on your neighbors. 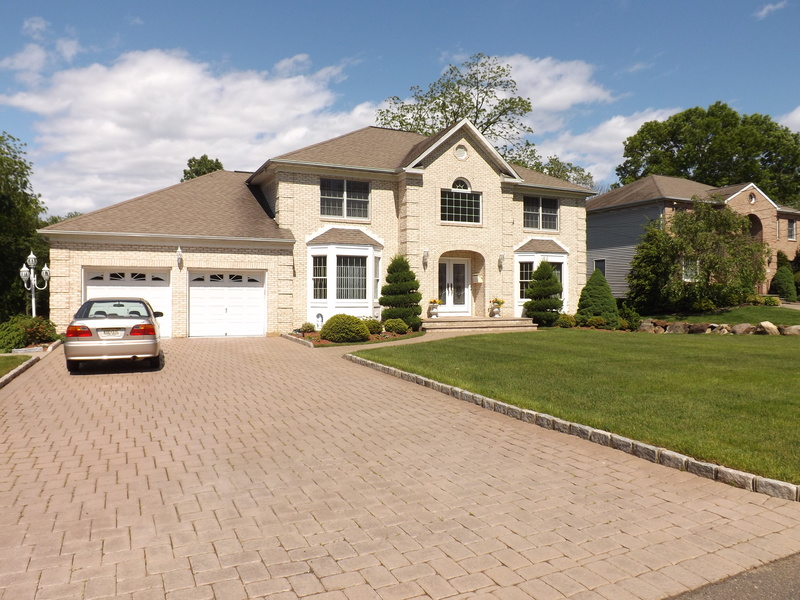 I’m happy to announce that my listing at 28 Peniston Ave in East Hanover has sold.